Here are some common questions we get from our AI For Everyone workshops the last few months. I have provided answers and insights. 1. How far can the Datacamp courses take you into the AI industry? 2. Do you need some qualifications (e.g. Masters) to get into AI or Data Science work? Good hiring managers in real-world AI and Data Science often look at what skills you have and what projects you have done. Unless the role is to do research or to build new algorithms, a PhD is good, but not necessarily required. A strong maths and good statistics background is always good. 3. How do we get into the AI Apprenticeship Programme? You apply when we open for the intake and pass our “tests” which includes programming, maths, statistics, and software engineering. We also test your ability to work in groups, and your presentation skills. AIAP is only for SINGAPORE CITIZENS. 4. 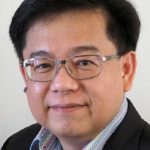 Does AI Singapore help with industry placements? We have a forum and growing community – KELABERETIV – where there are job hunters and talent seekers. If you are in the AIAP programme – we try to assist. 5. What do employers look for in an AI engineer/a data scientist? Strong AI/ML background gained from working on real-world projects. Able to deploy AI/ML algorithm into production whether in a database, a server, into Hadoop and/or Spark. 6. What is the day-to-day job of a ML engineer like? 7. How can we bring AI education to polytechnics or schools? AI concepts seem difficult to digest, especially for students. 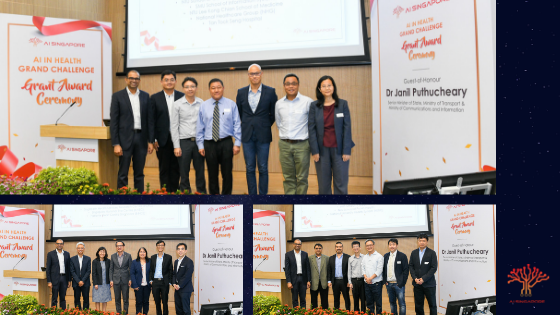 AI Singapore has introduced the AI For Students programme for students 13 years old and above. They get access to all the DataCamp modules for FREE based on a curriculum their teacher put together, or they can just use one of the skills or career tracks on DataCamp. AI For Everyone is also open to students and we are open to conduct AI4E for schools. 8. How might a corporate company work with AISG? AI Singapore runs the 100 Experiments (www.aisingapore.org/100e) which helps companies adopt AI. AI Singapore helps find researchers and forms an engineering team to co-create the production/solution with the corporate. Corporate is expected to co-fund the project on a 1:1 basis. 9. Is it possible for a company to recruit through the AISG programme? Yes, you can post your positions to the AI Singapore Kelaberetiv website/forums. 10. How can I propose AI implementation to the organisation? 11. If you want a career change into AI, what do you do? If you need to ask this question, then the AI/Data Science career is unlikely for you. The traits of a good AI engineer/scientist are self-sufficiency and inquisitiveness – both lead you to find the answers yourself. 12. Are there internship possibilities in AI Singapore for undergraduates? Yes, we take interns. Just write in. 13. What are the differences between data science courses on DataCamp, Coursera, Udemy, etc? Which would you recommend? All of them are good; really depends on your personal learning styles. 14. Where do we go after this course if we want to continue learning AI? Any recommendations? 15. Does the AI Apprenticeship Programme cater to people who might want a mid-career change? Sure, if you pass our tests. The AIAP is not a conversion course. Candidates who get in are already intermediate level in their AI/ML and proficient in Python and/or R. What they lack is a large real-world project experience – which is what the apprenticeship provides together with guidance from AI Singapore AI mentors. 16. 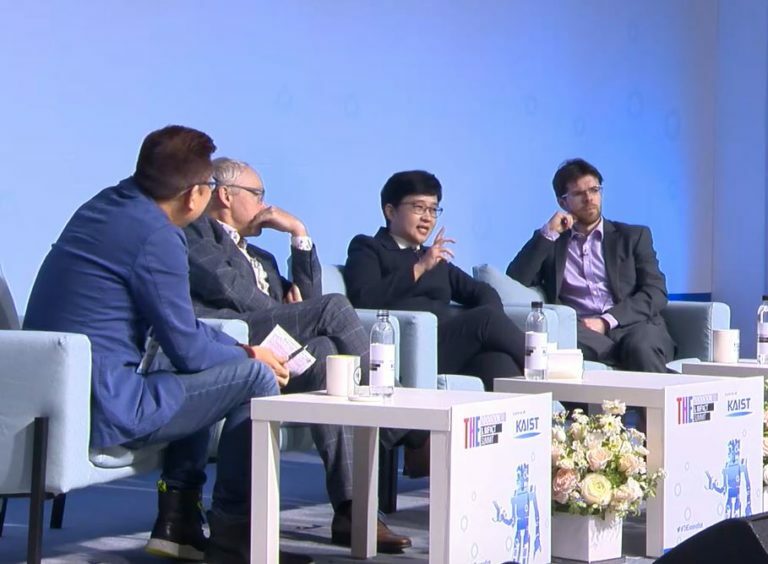 How can persons with a limited IT background engage in AI Singapore initiatives? You can be a Project Sponsor of a 100E project; or you can make use of the materials and workshops we have and learn as much as possible. 17. Will AI become self-aware? PrevPreviousAMA #7 Questions & Answers.